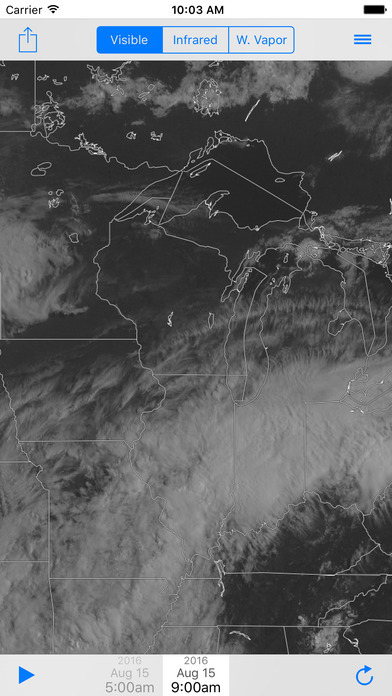 Provides access to real-time imagery and data products, including global and regional remotely sensed atmospheric, terrestrial, and oceanographic imagery, observations of local meteorological parameters and short-range predictions of future conditions. Note: not all advanced features are available in the Android version of the App at this time. 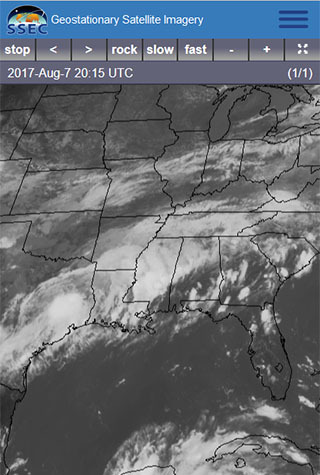 An application for viewing near real-time GOES (Geostationary Operational Environmental Satellite) imagery including GOES-16. 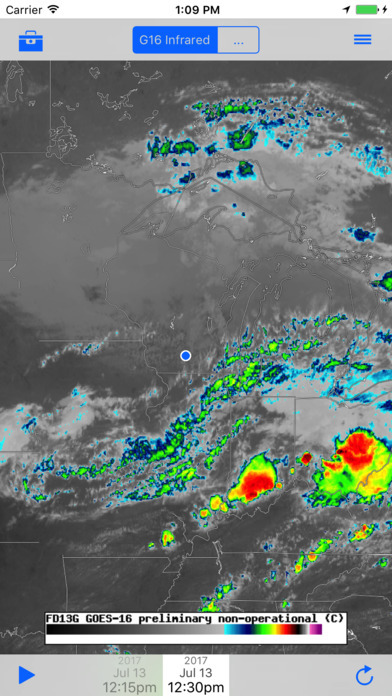 A mobile app for viewing imagery and products from JPSS (Joint Polar Satellite System) satellites developed under the ISEE (Innovative Satellite Enhancement Exploration) project and designed to bring attention to satellite-observed events with notifications and social media sharing. 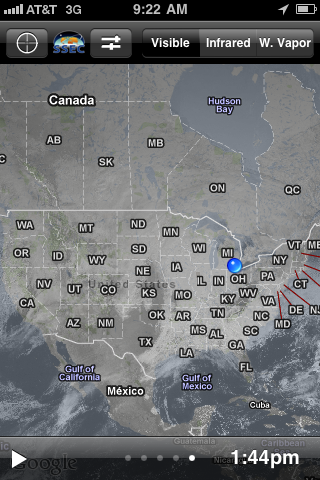 Our simplest mobile app, optimized for global viewing of the three basic weather satellite (WxSat) channels. 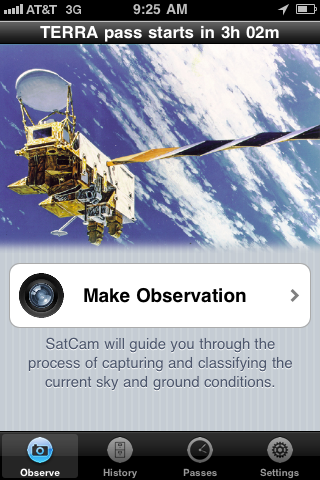 An iPhone application for user-driven satellite cloud validation.